Having grown up in a sports-crazed family, my true passion is capturing the best moments of sports action. I am available for shooting club, recreation, and high school sports events and team pictures at a negotiable rate. 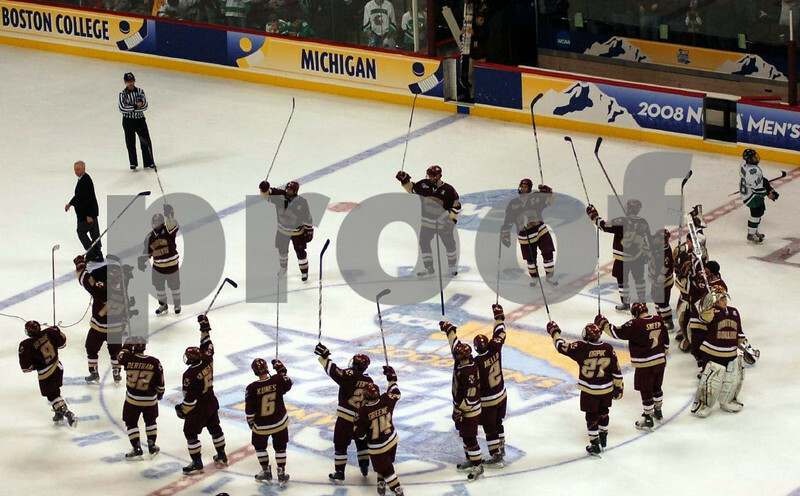 BC salutes their fans after semi-final win against University of North Dakota.